#1 New York Times bestselling author Tami Hoag’s fan-favorite Minneapolis investigators, Sam Kovac and Nikki Liska, hunt a serial killer in this haunting thriller. On a frigid New Year’s Eve in Minneapolis, a young woman is found brutally murdered—the ninth so far this year in a string of grisly slayings. Homicide detectives Sam Kovac and Nikki Liska fear that it’s the work of a serial killer they call Doc Holiday, a transient who has brought his gruesome game to a new and more terrifying level. 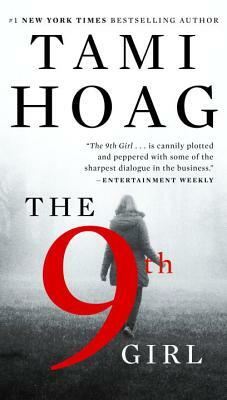 But as Kovac and Liska uncover the truth, they find that the monsters in the ninth girl’s life may live closer to home. And even as another young woman disappears, they have to ask the question: Which is the greater evil—the devil you know or the devil you don’t? TAMI HOAG is the #1 international bestselling author of more than thirty books. There are more than forty million copies of her books in print in more than thirty languages. Renowned for combining thrilling plots with character-driven suspense, Hoag first hit the New York Times bestseller list with Night Sins, and each of her books since has been a bestseller. She lives in California.